We are a truly independent film collective. Absolutely everything we do is 100% because of YOU, our viewers, and we cannot thank you all enough for it! 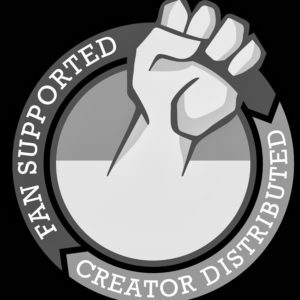 – We are proudly Fan Supported/Creator Distributed and that means there’s no studio, networks, no cancellations, and no b/s! This is a production company by fans, for fans, for real! Please help us continue to make films and do what we love by becoming a Patron on our official Patreon page.